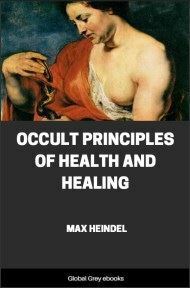 Chapters include; Lucifer, The Rebel Angel, The Masonic Legend, The Queen Of Sheba, The Mystery Of Melchesedek, Spiritual Alchemy, and The Path Of Initiation. The Rosicrucian Fellowship aims to educate and construct, to be charitable even to those from whom we differ, and never to vent the venom of vituperation, spite, or malice even upon those who seem deliberately determined to mislead. We revere the Catholic religion; it is as divine in its essence, as both were born to further the aspiration of the striving soul, and both have a message and a mission in the world not apparent upon the surface today, because man-made ceremonial as a scale has hidden the present articles to remove that scale and show the Cosmic purpose of these two Great Organizations, which are so bitterly antagonistic to each other. 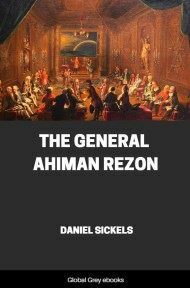 We do not aim to reconcile them, however, for though they are both designed to further the emancipation of the soul, their methods are different, and the attributes of the soul fostered by one method will indeed be very different from the quality of the soul nurtured in the other School. Therefore, the strife must continue until the battle for the souls of men has been lost and won. 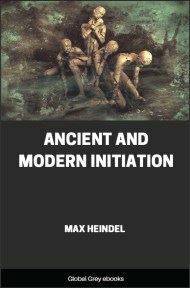 The issue is not, however, the persistence of the Masonic or Catholic institutions; but the outcome will determine the nature of the training humanity will receive in the remaining Periods of our evolution. 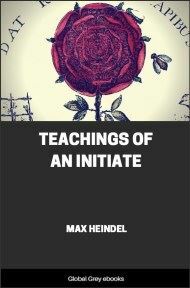 We shall endeavor to show the cosmic root of both of these institutions, the purpose of each and the training which each will inaugurate, if successful; also the nature of the soul quality which may be expected to result from each method. 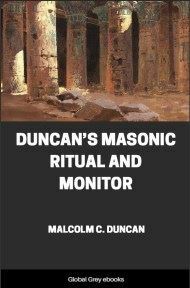 THE WRITER IS NOT A MASON, AND THUS HE IS FREE TO SAY WHAT HE KNOWS WITHOUT FEAR OF VIOLATING OBLIGATIONS, BUT HE IS A MASON AT HEART, AND THEREFORE FRANKLY OPPOSED TO CATHOLICISM. Our opposition is not fanatical, or blind to the merits of the Catholic Religion, however. 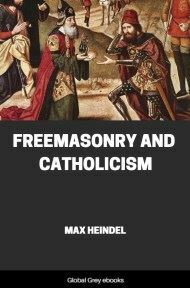 The Catholic is our brother as well as the Mason; we would not say a disparaging, irreverent word against this faith, or those who live by it, and should we seem to do so, in any passage, the wrong will be due to inadvertence. The reader is requested to note that we distinguish sharply between the Catholic Hierarchy and the Catholic Religion, but the former are also our brothers; we would not throw stones either physically or morally, for we know our own shortcomings too well to attack others. Thus our opposition is not personal, but spiritual, and to be fought with the weapon of the Spirit--Reason. We firmly believe it to be for the everlasting good of mankind that the Masons should win, and cannot therefore be sure to present the Catholic side in a perfectly unbiased manner, but we ask our students for whom this is written, to believe that we shall try to be just. Of the Cosmic Facts we are certain, but bias may creep into ourconclusions, therefore each must use his reason to test what we have to say, viz., "prove all things and hold fast that which is good." In the Saturn Period, the Earth-in-the-making was dark; HEAT, which is the manifestation of the ever invisible fire, was the only element then manifest; embryonic mankind was minerallike, the only lower kingdom of evolving life. Unity was everywhere observable, and the Lords of Mind who were human then, were at one among themselves. In the Moon Period contact of the heated sphere with cold Space generated moisture, and the battle of the elements commenced in all its fierceness. The heated ball of fire endeavored to evaporate the moisture, force it outwards and create a vacuum wherein to maintain its integrity and burn undisturbed; but there is and can be no void in nature, hence the outrushing steam condensed at a certain distance from the heated ball and was again driven inwards by the cold of Space, to be again evaporated and propelled outwards, in a ceaseless round forages and ages, as a shuttlecock between the separate Hierarchies of Spirits composing the various Kingdoms of Life, represented in the Fire-Sphere and Cosmic Space which is an expression of the Homogeneous Absolute Spirit. The Fire Spirits are actively striving to attain enlargement of consciousness. But the Absolute rests ever clothed in the invisible garment of Cosmic Space.